Set aflame, by the GulMohar, blossoming. Note: Gulmohar is a tree, shown in the picture with red flowers. 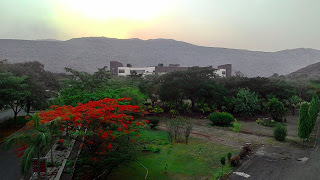 Categories: Poetry | Tags: evening, gulmohar, may, summer | Permalink.